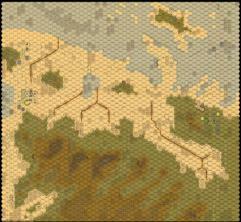 Includes large historical map + 8 scenarios (about 118 hours of play time overall) + color Special Rules + color folio. BRL counters sheets BRL1-2-3-4-5-6 and BRL_7 are required to play. If you own BRL Core + the BRL El Alamein expansion (and of the 3 that provided the counter sheet) you are good to go!